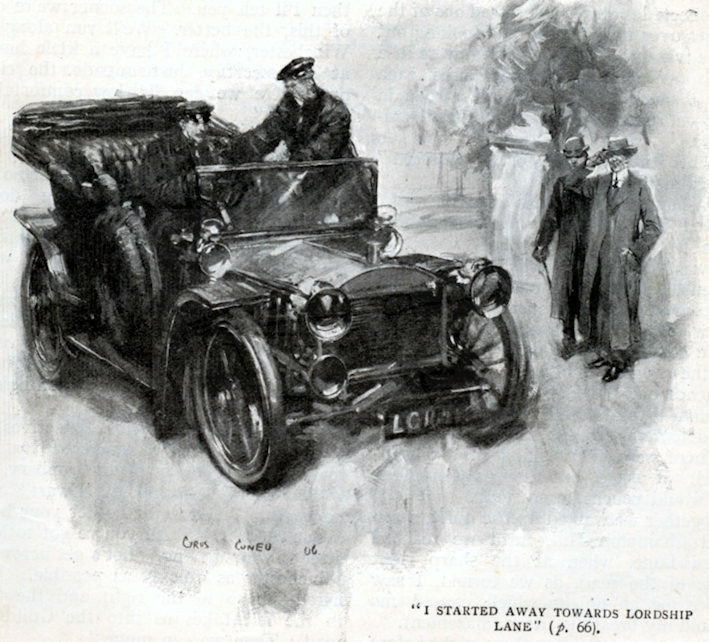 Famous artist and father of Terence Cuneo, produced several car illustrations as part of his work. 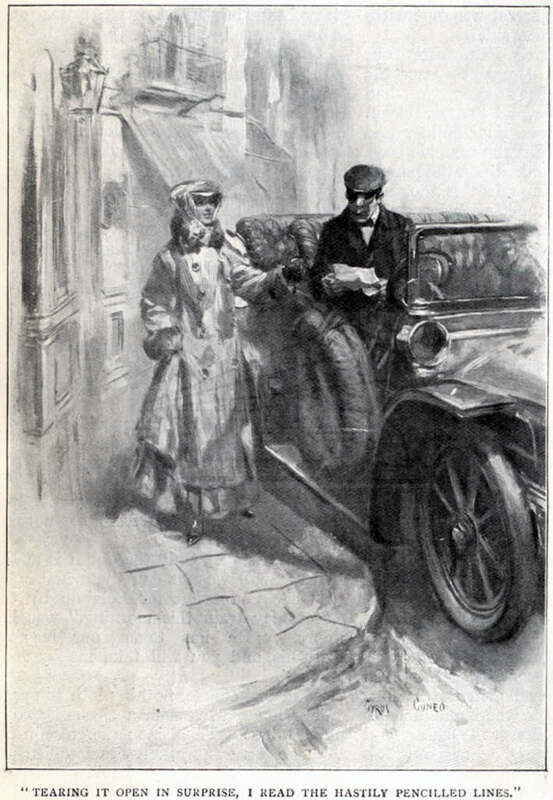 For example see the automobile in 1904 book- 'The Food of The Gods' by H G Wells that Cuneo illustrated. 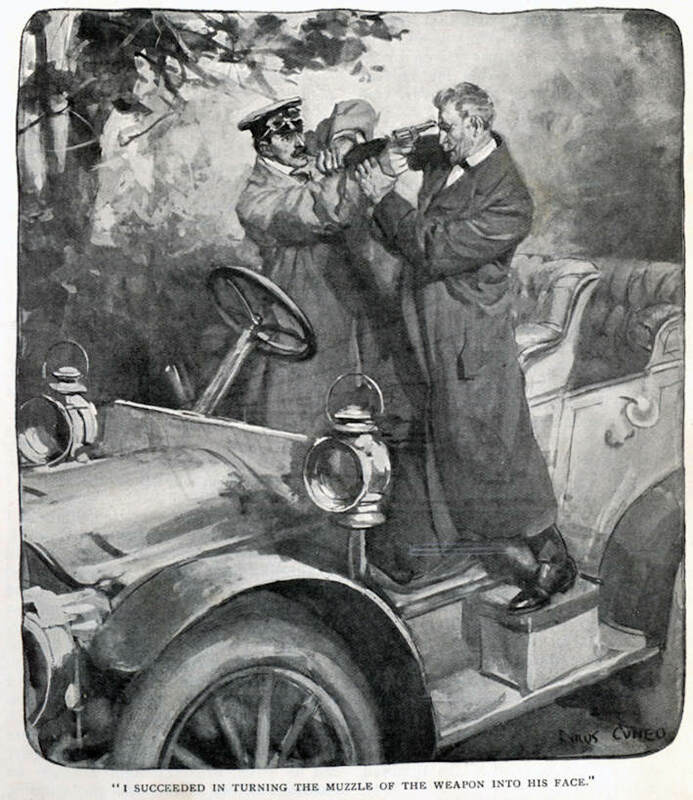 He also illustrated a series 'The Count's chaffeur' by William le Queux in Cassell's Magazine for June to Dec 1906. 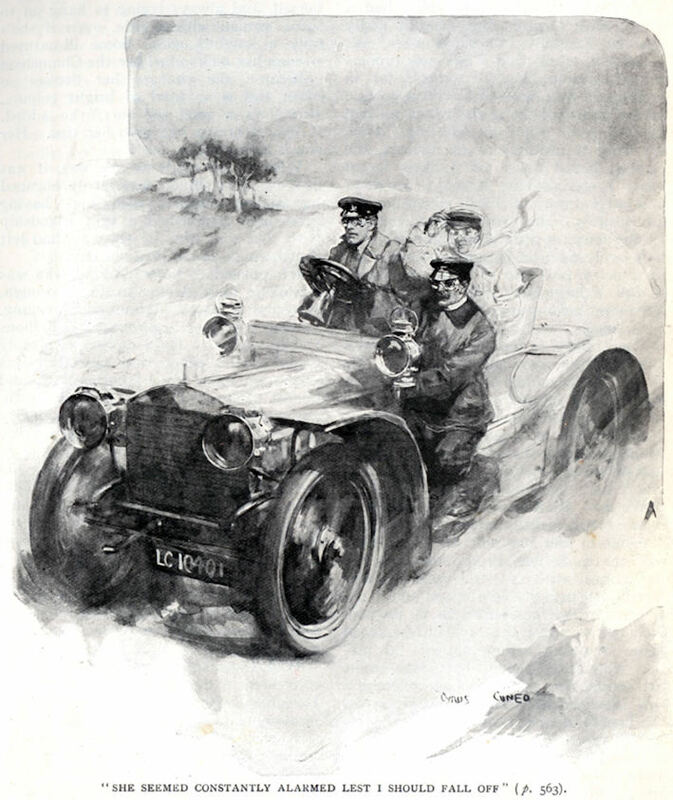 The car is a Napier. 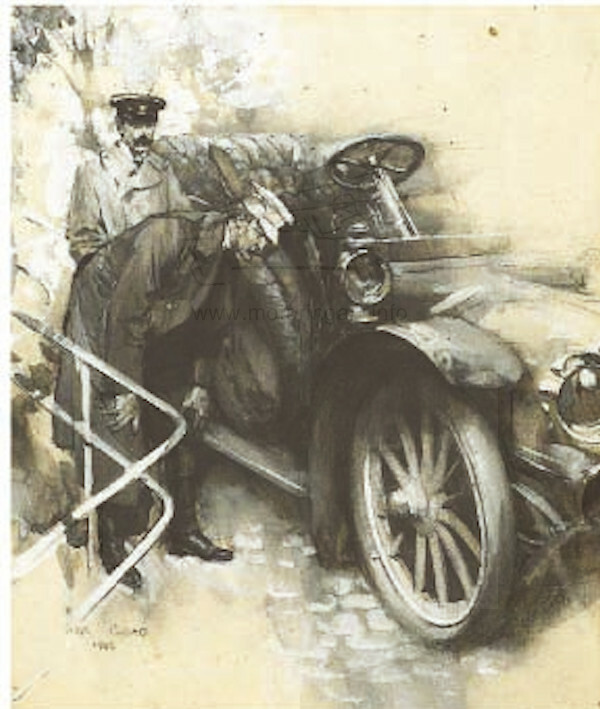 When the series was reissued in the 1920s, Napier had ceased production, so the car became a Bentley, but the text was otherwise unaltered, All the images below are from that Cassell's magazine series, the first one being original artwork that appeared in a Bonham's sale.